2. Select the book icon. (This will send you to the online bookstore). Note: We will send you Version 3.0 of the book along with $150 worth of free gifts. If you purchase the book from Amazon, you will only receive Version 1.0 of the book without the $150 of free gifts. This is an oversimplification, but hopefully, you see my point -- there is more to controlling and reversing this disease than just eating right. Another key point is that not everyone will be able to control and reverse their (Type 2) diabetes. It depends on several other factors including: length of time with diabetes, motivation/drive, knowledge, attitude, length of time taking drugs/medications, etc. 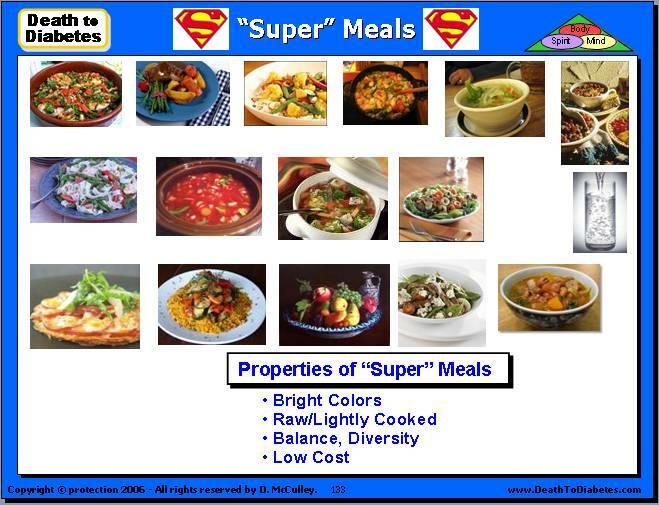 From a nutritional perspective, there are what I'm calling the 5 "live" (or super) foods and the 5 "dead" foods. 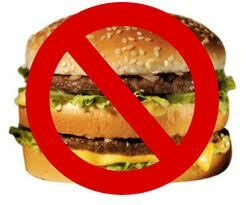 "Live" food is in reference to foods that are better at keeping us "alive". 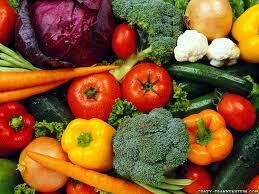 "Dead" food is in reference to foods that lead us to disease and early death. Note: Most of these foods are well known by those of you involved in nutrition, so there shouldn't be any surprises here. 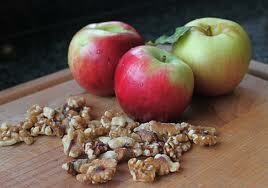 There are many books already written that identify these foods as healthy or unhealthy. All I did was "package" the information into two categories to make it easier for me (to eat properly) during my recovery. Hopefully, it will make it easier for you. Key point: The "dead" foods (especially the refined carbs and trans fats) either cause blood glucose levels to increase leading to weight gain or they inhibit the body from burning fat leading to more fat storage! They are the key drivers of nutritional deficiency at the cellular level, triggering inflammation, oxidation, toxicity, acidity, and hormonal imbalance. 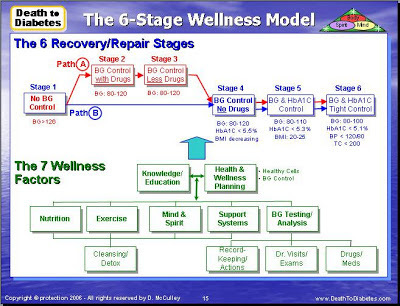 Key point: The "live" foods trigger the body's natural internal healing mechanisms to prevent, fight or reverse disease. As a result, these foods when eaten as part of a "super meal" reduce and prevent inflammation, oxidation, toxicity, acidity, and hormonal imbalance. Optional: Add one-half of an orange/yellow/red pepper (sliced) to steam with the vegetable. Optional: Add 1 scoop of super greens powder (e.g. wheat/barley grass) to a glass of water or raw juice. Kashi crackers, organic chips with peanut butter, almond butter, or cheese slices. Whole fruit (blueberries, blackberries, apple, pear, banana, grapes), with a handful of nuts such as walnuts and/or almonds. Note: Always have a glass of filtered water before or after your meal. Note: These super foods and super meals perform the same function as the drugs, but without the side effects! The good news here is that if you embrace these super foods, you will be able to change your body's chemistry such that several months down the road, you will be able to enjoy your bread, pasta, ice cream, or potato chips -- without having the same adverse reaction to your blood sugar! Of course, that doesn't mean you can go hog-wild, but, at least, you will be able to once again enjoy life and not be worried about eating the 'wrong' food. If you want more recipes of super meals, snacks, and even desserts, then, get the diabetes cookbook. To learn more about how to prepare super meals and snacks, and desserts; and, how to transform your favorite meals into super meals, with one or two minor changes, get the "Favorite Foods" PDF. Although there is no medical cure for diabetes, this disease (Type 2) can be defeated with knowledge, proper nutrition, exercise, testing, spiritual health, etc. I know because I used to be a (Type 2) diabetic. Three years ago I went into a diabetic coma with a blood glucose level of 1337 -- more than twelve hundred points above normal. Despite a set of complications that included severe hyperglycemia, dehydration, two blood clots, pneumonia and four insulin shots a day, I was able to use my engineering and biochemistry background to methodically and completely wean myself off the drugs to lower my average glucose level to 88.5 mg/dl and my hemoglobin A1C to 4.4%, reversing my diabetes and requiring no drugs of any kind -- all in less than 4 months. I credit my recovery to God, the doctors and nurses, my mother, my daughter, my engineering background, and a set of unexplained accidents that guided me through his miraculous recovery. As an engineer, I was trained to research, analyze, test, draw logical conclusions, and write technical reports based on complex engineering and machine data. Ironically, I was able to use that training to research, analyze, test and draw logical conclusions from the hundreds of clinical studies and other medical research to identify the 5 "super" foods that initiate the body's internal (biochemical) healing mechanism and the 5 "dead" foods that either make us diabetic or keep us diabetic. (I will expand upon this in future emails). With a lot of encouragement from my daughter and various people from work, the local churches, various people in the wellness industry, and the two diabetic support groups I was running, I am trying to share my experience with as many people as possible. Hopefully it will inspire people the way I have been inspired -- by people I would never have met if it weren't for my experience with diabetes. So I was "driven" to find the answer to why I had been in a near-death coma, and why the doctors felt that they needed to amputate both my legs. Every time I visited my doctor or stopped by the hospital, all I heard was "Mr McCulley, you should be dead, 10 times over. You are lucky to be alive." But, my mother didn't believe in "luck" -- she said it was a blessing from God. 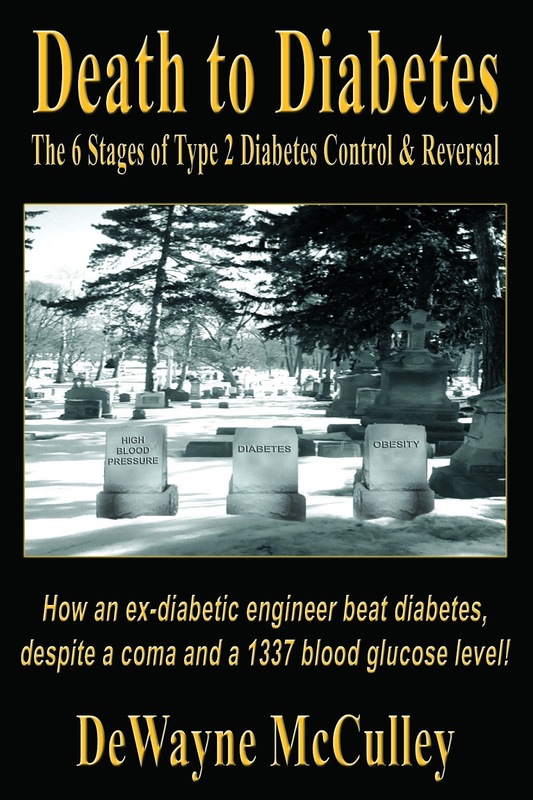 She believed that God put into training for 30 years by Corporate America -- to learn everything I could about engineering, and use that knowledge to beat my diabetes, write the book, and then help other diabetics. I didn't think about it anymore until a few years later, I was invited to speak at a health/wellness forum. It turned out that I was in a large room (in a hotel) with my daughter. We were standing in front of an audience of diabetics answering their questions -- some of this discussion is now on Youtube in a couple different videos. There are photos on my website of me and my daughter speaking at this event. Another memory I had was of a doctor introducing me to speak, and a woman doing the same thing -- I couldn't see their faces, but I could hear them talking about my recovery from a near-death diabetic coma, and people applauding. This came to pass a few years, and part of it is on Youtube. Then, one day while I was talking to my mother on the phone, she said: "The words death and diabetes keep coming up in your titles." My daughter noticed the same thing. "Death to Diabetes" is gradually becoming the rallying cry of many diabetics who are fed up with the disease, the doctors, and the drugs; and are looking for a better answer. Many of them believe that the answer is "death to diabetes" instead of "death to them". 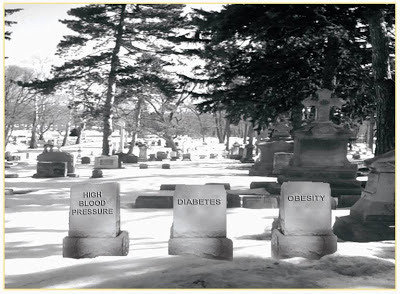 They see the book "Death to Diabetes" as a way out, a beacon of hope. Many diabetics are encouraged when they hear my story -- because they realize that if I can make it back, maybe they can make it back, too. 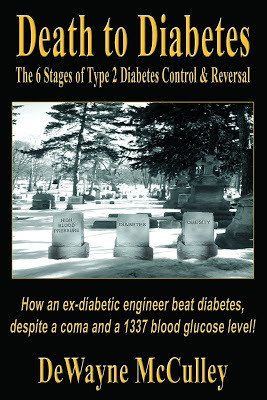 Note: A copy of my story is on my website (Death to Diabetes).